June came and went just like that, I can’t believe it’s the end of June already! Highlights include my birthday, changing my schooling schedule, and getting some pretty awesome work done at Sybase… and watching the NHL/NBA playoffs =P. I’m actually writing this blog entry from Windows Live Writer. 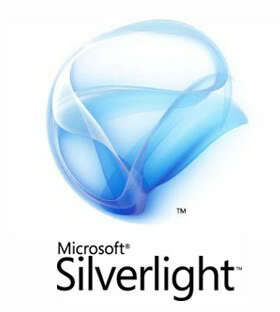 If you’ve never heard of it, it’s part of the Windows Live Essential suite of applications by Microsoft. It provides an interface for you to write, edit and publish blog entries on a variety of different blogging platforms including Windows Live, WordPress, Blogger, LiveJournal, SharePoint and some more… I’ve never actually tried any other third-party blogging applications, so this is brand new to me. I did have some gripes about the online WYSIWYG editor that WordPress provides. I found it to be a clunky experience, it was definitely not as responsive as a desktop application. I even enabled the Google Gears cache functionality which is supposed to make faster. I have to admit, I did see some performance increase, but still not the same experience as a native application. 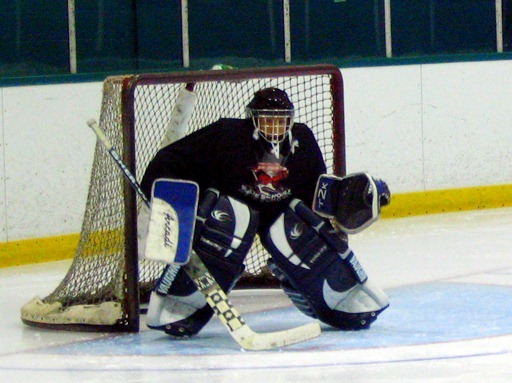 Adding photos to a blog entry and then getting them positioned where you want is not the easiest thing in the world. So, I’m hoping this will be a better alternative… maybe it will encourage me to post more ; ). I like the fact that you can edit a post just as you would see it on the screen, then preview it and still have access to the source code! AND it’s a super responsive interface. Since this is a desktop application, I believe you have the option to save the draft locally before publishing… this means that you can write posts even while offline! Maybe one day… if I’m really eager to blog in an area without internet connection, I’ll try out this offline feature, haha. So another year of my life has passed… and before you ask me what I did on my birthday… well I’m not big on birthdays, so it was just like another day with more birthday wishes =P. It seems like whenever I get into the middle of a school term, I abandon my blog… but this time I’m not going to let that happen! I shall to take some time out of my busy schedule to write a quick update. In my previous post, I wrote about an imaginary “Windows Zune phone”. Well just recently, Microsoft announced their newest OS for mobile devices, “Windows Phone 7”! They’ve completely revamped the whole design and approach they took to developing a mobile phone OS. From the early demos and screenshots, the user interface is much more “touch-friendly” and intuitive. Actually, it looks very similar to the ZuneHD interface which turned out to be quite well received amongst the tech crowd. And right now, the same looks to be true for the Windows Phone 7. I realize that it’s not an actual physical device, but they’re getting one step closer to challenging the Apple iPhone and Google Nexus One. The only two things I’m hoping that Microsoft will add to their new OS are: multi-tasking and copy/paste. Right now, it doesn’t seem to be included and I don’t understand why if you consider that those were two of the biggest areas of criticism that Apple got when they first released the iPhone… So I really hope it changes before its final release. Spring is here, and while others are outside tossing around a frisbee, I’m either cooped up in a classroom or a lab. These past few weeks have been super hectic because we’re trying to finish our robot for a competition next Tuesday. The purpose of the robot is to navigate an obstacle course and extinguish lit candles. At first the problem didn’t seem too difficult. We had a mechanical design and algorithm worked out, but now we’re realizing how different real life is from theory. We’re running into a lot of issues that are unpredictable and completely out of our control…!! Anyway, it’s slowly coming along and we’re learning a lot… Only two more days left! The time has come, time to look for a new portable media player (PMP). They used to just be called mp3 players, but now they can do everything. 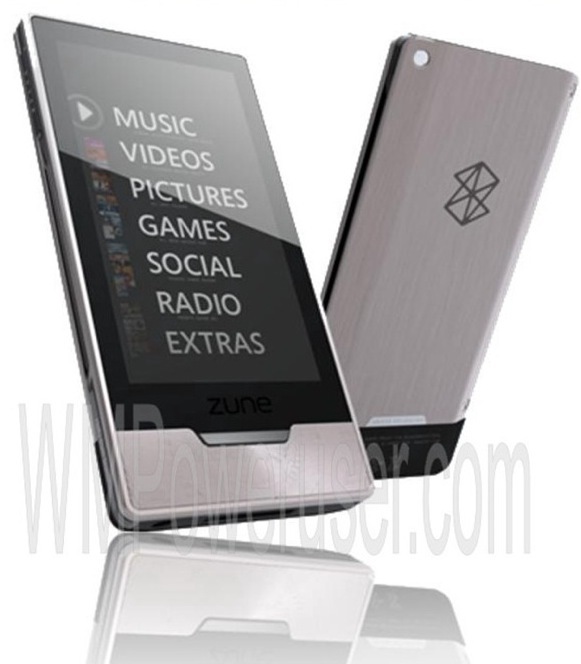 So one contestant is the Zune HD, I blogged about it before when it was still just a bunch of rumours. Now, it has been officially confirmed and the release date is less than a week away (Sept. 15)! Right now, I’m using the iPod Nano 2G mainly because it came free with my MacBook. Compared to what’s out there now, it’s not outstanding. But it was revolutionary when it first came out and I haven’t encountered any major issues, so I’ve been also considering the iPod Touch as well… Apple has been dominating the mp3 player market, so would I be wrong to give them a look? I was highly-anticipating the Apple event [this morning] because of some rumoured announcements (camera anyone?). What Apple announces could really be the deciding factor for me. I was holding my breath to see how Apple would respond to Microsoft’s Zune HD. What new surprise did Apple unveil this morning? Well, not that much. Let’s just say that I expected more, everyone expected more. With rumours and photos flying around of an iPod Touch with a camera, the fact that there was no camera was a major disappointment. In fact, all they did was cut the price on an already expensive music player and made it a bit faster… and games. They kept going on about their vast selection of games compared to the PSP and Nintendo DS. I’m not much of a gamer, so this didn’t really impress me. All in all, not much can be said about the new and improved iPod Touch. Nothing that would tip the balance. At least, not for me. I think the fact that the Zune HD is cheaper, offers HD radio, HD video output, a cheaper subscription service, OLED screen on top of what Apple offers (App Store, iTunes LP) is making me lean towards the Zune HD. Please don’t disappoint, Microsoft. The one thing that’s holding me back is the fact that I need iSilo. Currently, there is no support for iSilo on the Zune HD, but there is for the iPod Touch. I hope that Microsoft will release an SDK for the Zune HD so that developers can get started on that iSilo application! I really want to get the Zune HD, but if it can’t run iSilo, I may have to turn to the iPod Touch (or iPhone) or a Windows Mobile smart phone (way more expensive). But that’s a different story. Windows 7 RC is out! Since I’m working on my work term report and running some tests with my computer, I will have to download and play around with it as soon as I’m done. Can’t wait! Microsoft has finally taken the offense against Apple’s ‘Get a Mac’ video campaign with a series of ‘Laptop Hunters’ videos. MS has chosen to target Apple where it hurts the most – price. Especially in these tough economic times, people are less willing to spend the extra cash. This is proven by the fact that Mac shipments dropped 3% (but still exceeded analysts’ predictions overall in its second fiscal quarter). Although Mac shipments dropped, Apple was able to come on top because of iPod and iPhone sales. It is also expected that Microsoft’s earnings will drop because their revenue is dependent on PC sales which has dropped 7.1% in the last quarter. Interestingly enough, Microsoft has to compete against both the Mac OS and its hardware. Really, Microsoft is trying to sell its OS, but no one is going to buy an operating system without a computer. However, since the Mac OS is married with its aesthetically-pleasing hardware, Microsoft has to compete against both. It’s a tough battle, I wonder what would happen if Microsoft produced its own computers? – 3.6 inchish OLED full touch screen. – 4GB, 8GB, 16GB, and 32GB versions. – HDMI Connection to stream straight to your TV. – WiFi compatible, with wireless marketplace. 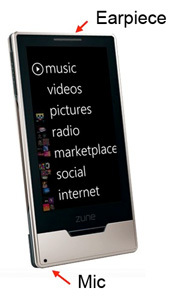 – International release of the Zune device itself. – Home AV packs, Car packs, Charge packs. – Company insiders tipped us off with the possibility of a limited edition dock accessory in various colors. – 3D Xbox Game Support? There are a lot of common elements in these two reports, make what you want of that… But they do seem impressive. I’m interested in the Windows Mobile 7 preview. Does this mean that the mp3 player will double as a pocket PC =)? That would definitely make it more appealing to me. I’m cheering for Microsoft to cause a ruckus in the ipod-monopolized-mp3-player-market with this new piece of hardware. 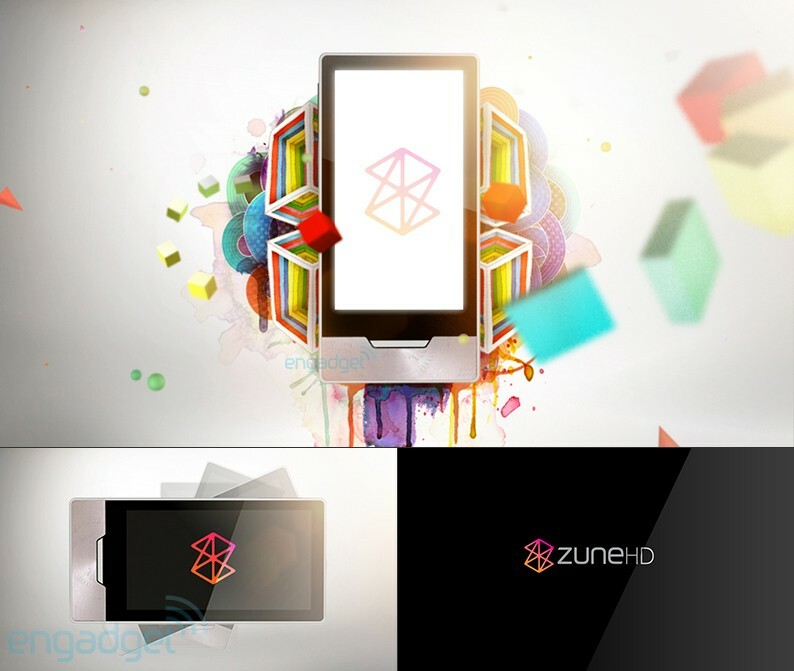 Could this be photos of the rumoured Zune HD? Only time will tell. If so, it looks really promising! Microsoft plans on spending $100 million on an ad campaign to promote it’s rebranded and updated search engine, “Kumo”. Right now, the search engine is under internal testing by Microsoft employees. A couple screenshots have been leaked and they look quite promising. According to one person close the situation, the forthcoming campaign will be careful to not position “Kumo” as a competitor to Yahoo or Google and instead cast it as a reimagined search engine that ups the game by yielding fewer but more-focused results. The proposed strategy is probably a good — if not the only — way to go. I am eager to see the results of this new push. It’s about time that someone challenges Google in the online search world!